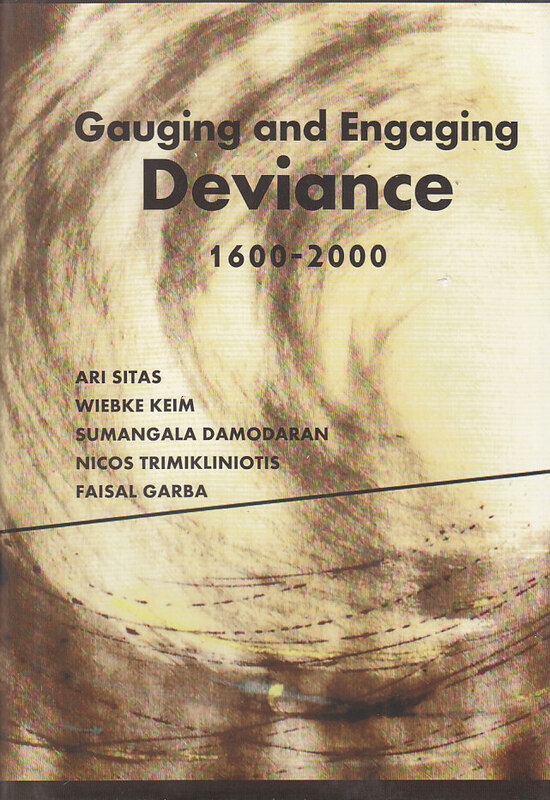 Gauging and Engaging Deviance is at once a creative and challenging work. It is not just a critique of the sociological canon, but an imaginative reconstruction that is generous to all nooks and crannies of the planet. Categories: Tulika Books, Sociology and Anthropology. Tags: 9789382381310, Deviance, Extermination camps, Faisal Garba, Nikos Trimikliniotis, Power, prisons, Race, Slave factories, Struggle to be contrary, struggle to be free, Sumangala Damodaran, Wiebke Keim. It is also a memorial to modernity’s victims, whether they were perceived to be deviant or not. Its broad historical range, its geographical spread, and its attention to race and power create a conceptual grammar through which we can speak of the key challenges, traumas and violence of the contemporary period. Through the pages of Gauging and Engaging Deviance, the Maroon and the Pirate meet Don Quixote, the Thug and the Apostate in a journey that takes the reader through slave factories, plantations, prisons and extermination camps, gauging the price of what it has meant to struggle to be contrary or free. Ari Sitas, a South African writer and sociologist, who works at the University of Cape Town. He has been a leading scholar among the development alternative sociological voices in southern Africa and the global South. Wiebke Keim, a German sociologist at CRNS in Strasbourg, France, who coordinates a major research programme on circulating knowledge between the North and the South. Sumangala Damodaran, an Indian economist who also works on music, culture and social movements. She is with the School of Development Studies and Culture and Creative Expressions at Ambedkar University, Delhi. Nikos Trimikliniotis, a Cypriot sociologist and lawyer, who co-leads a programme on Reconciliation on the island of Cyprus. Faisal Garba, a Ghanaian Research Associate in the Third African Diaspora project of the University of Cape Town, South Africa.